Once associated with ‘trendy startups’ and millennial culture, the coworking office is instead becoming a hub for the largest cross section of generations working together than in any other type of space. Coworking hubs are hugely diverse spaces, and can now cater to everything from the business-minded Baby Boomers to the educated and entitled Generation Y.
Flexioffices has been bringing industry leaders together to trace what’s behind this new kind of environment, and to find out what this means for the way we work. “After the recession, there was a huge increase of people in their 30s and 40s who were laid off and decided to go it alone and start their own business. When they needed to move out of their living room, most of them ended up in a coworking space. This was hugely beneficial, albeit an incredibly daunting step. Thrown together in the coworking environment, these two groups were at odds at first. 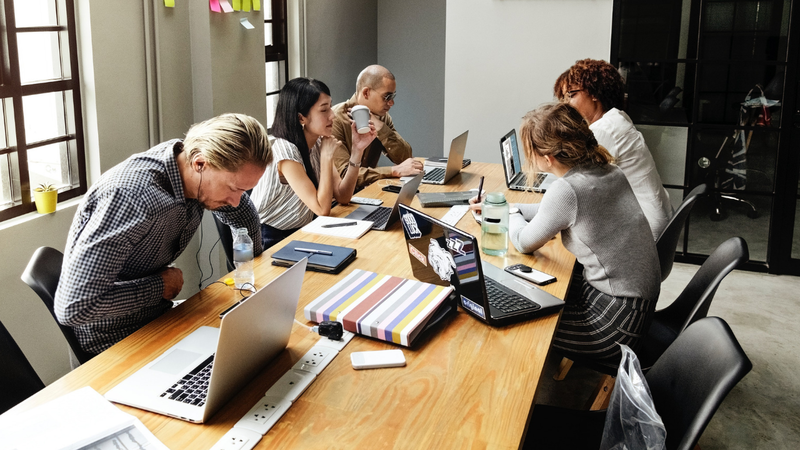 Although the older generation are old hands in terms of business experience, coworking spaces are unfamiliar territory for those accustomed to a typical corporate scenario. For the newly graduated entrepreneurs however, coworking spaces are familiar extensions of the university campus. As this work culture becomes more common, they begin to present a knowledge-sharing opportunity to both groups. Older colleagues are finding themselves surrounded by a generation raised on the internet, where flexible, technological business solutions are second nature. On the other hand, younger generations – less experienced in the people-focused business world – are able to learn from the years of business and boardroom knowledge of their more experienced workmates. Progress in business can be helped along by the mediating presence of the other generation and conversations happening between them can then create a sense of community and network that is mutually beneficial. This clash of generations has resulted in a workspace filled with interesting, dynamic and inclusive communities. Now, 10 years on from the 2008 crash, the demands of the younger generations have had a profound impact on the working environment. Generation Y is the most educated and privileged generation and work / life balance is becoming ever more fluid. It now appears that across the generations, expectations of the workplace are higher than ever. Younger generations are expecting more and the older generation don’t want to return to the three-wall stack of cubes of the old corporate world. As a result, employers are increasingly focusing on agile working and enriching an engaging workplace. These features have become a stable “perk” for many. The concept of work and the workplace is evolving into something new. Coworking spaces now support a huge network of colleagues and entrepreneurs representing all industries and age groups. This cross generation work style is giving a new meaning to work communities and is opening up coworking to more people than ever.